192 pages | 8 B/W Illus. Is violent conflict inevitable? What is it in our social nature that makes us conduct wars, genocides and persecutions? The answer lies in how we are programmed to bond and form communities that demand loyalty in order to let us belong. The analysis in this book cuts through the social sciences in order to show the fundamentals of violent conflict. The book investigates conflict at the level of sociality. It reorganises existing theories of conflict under that perspective and brings them to bear upon the link between violence and togetherness. It introduces the key concept of closure to describe the conditions under which human groups start to perceive their position as similar and their reality as polarised. This is how normality starts breaking down and fault lines appear. Violent conflict is then analysed as a reaction that seeks change more rapidly than conditions seem to allow. Global comparative data from numerous studies – including M. Mousseau's works – are used to disentangle the factors that contribute to "democratic peace", that is, the fact that democratic societies do not go to war with each other. This inquiry reveals the new dimension of sociodiversity, which allows societies where individuality is strong to constantly produce alternatives and avoid closure. 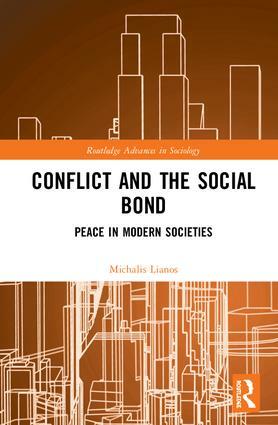 The book concludes with a coda on peace and sociodiversity which explains how contemporary societies can ensure durable peace and adequate social justice at the same time. Written in a clear and direct style, this volume will appeal to students, researchers and scholars with an interest in political sociology, anthropology, international relations, war studies, as well as conflict and peace studies. Michalis Lianos is Professor at the University of Rouen and the editor of European Societies, the journal of the European Sociological Association. He is the author of The New Social Control (2012) and numerous other publications in the domain of late modern sociality. He has conducted several international research projects in the areas of risk, uncertainty, insecurity and conflict and has taught in various European countries.